The first stop on an exciting 2019 season on the World Padel Tour was officially presented this morning. Marbella, the birthplace of padel in Spain, will be the first tournament next season. The tournament will take place from the 17th to the 24th of March at the Palacio de los Deportes Elena Benitez in San Pedro de Alcantara. Where, just like at the recent Bilbao Open, there will be two courts to offer double the excitement. 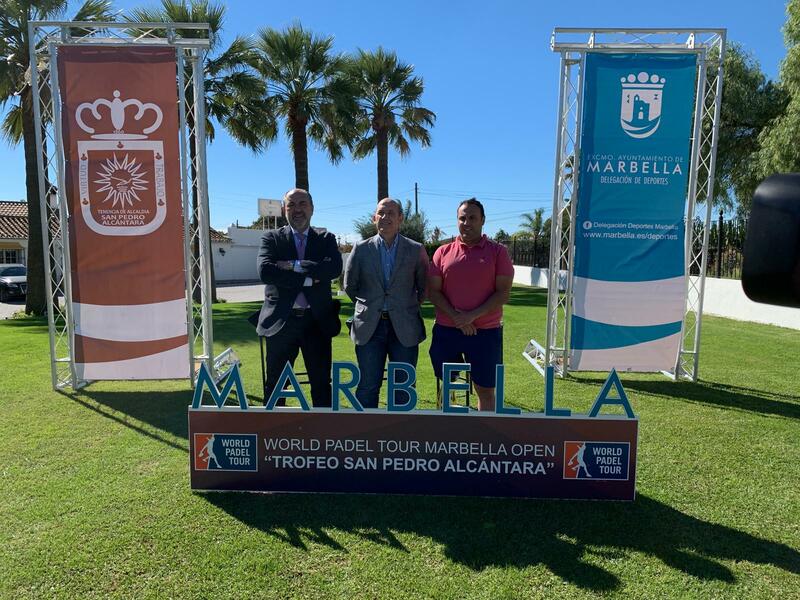 Mr Luis Torres (Head of the WPT's National Expansion), Mr Manuel Osorio (Mayor of Marbella) and Mr Javier Merida (teh city's Sports Councillor) were all present at the official act, in which they confirmed that the Real Club de Pádel de Marbella will be official club of the tournament.